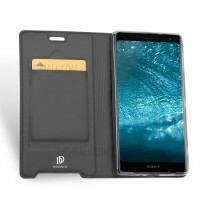 Ever since Sony announced the IMX586 – a 48MP Quad Bayer sensor – plenty of rumors about the Xperia XZ3 came out claiming that it will feature a single camera. We even saw speculative renders and now we have one more data point. 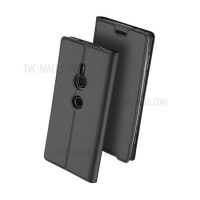 PU Leather cases for the XZ3 have shown up online with just two holes on the back – one for a lens and one for the fingerprint reader. However, things are far from settled. 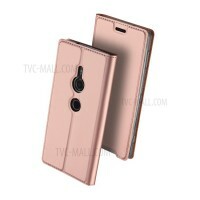 Other cases show a dual camera, which can also be seen in these alleged live photos of the phone, we’ve head dual camera rumors and seen a spec sheet. That sheet suggested that the XZ3 camera will be essentially the same as the XZ2 Premium dual camera (19MP + 12MP). We’d certainly love to see a 48MP shooter, which would top both the Huawei P20 Pro and even the Nokia 808 PureView in resolution. Many dual cameras are there just for the marketing (i.e. “depth sensors”), but Sony’s stubbornness in adopting market trend hasn’t been working well for it. So, which is true – single or dual camera? No way to tell yet, there’s evidence to support both. This usually means that there are two (or more) similar models that get mixed up in the vagaries of leaks. It’s possible we’ll see different cameras on the Xperia XZ3, XZ3 Compact and XZ3 Premium. Love the designs on the case, very nice utilization of cover.